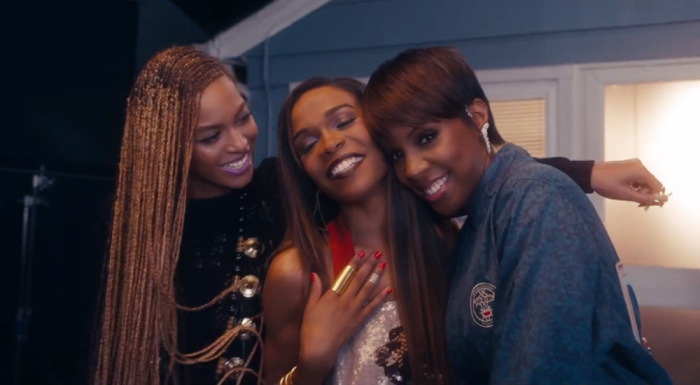 Don't call it a comeback, but Destiny's Child members Beyoncé Knowles, Kelly Rowland and Michelle Williams reunited to sing the gospel tune "Say Yes" for Williams' upcoming Christian-themed album, "Journey to Freedom." Rowland and Knowles signed on after hearing Williams' demo for the song, then titled "When Jesus Says Yes." The lyrics unabashedly praise the sovereignty of God and magnetism of Jesus' love. The island-tinged chorus proclaims, "When Jesus say yes, nobody can say no." Williams unveiled the uplifting music video featuring her former bandmates on Wednesday. "Journey to Freedom" releases September 9.